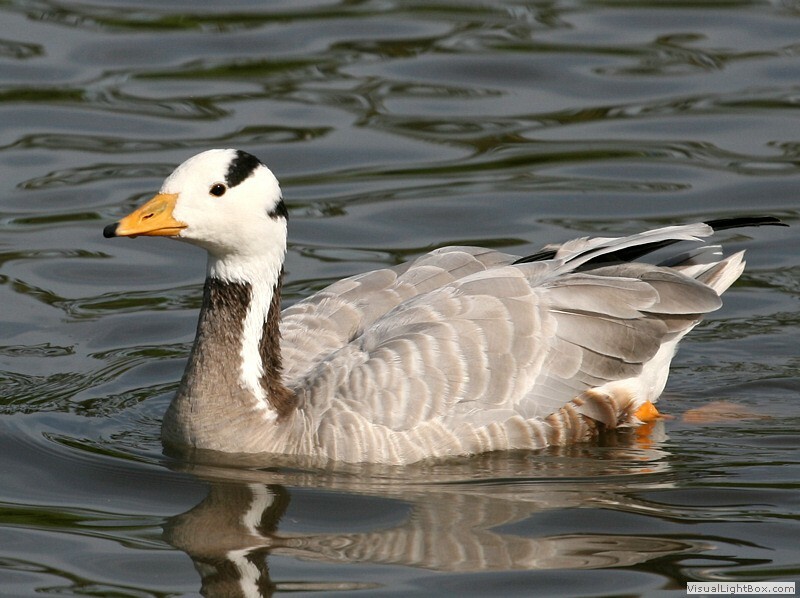 Identify Bar-headed Goose - Wildfowl Photography. 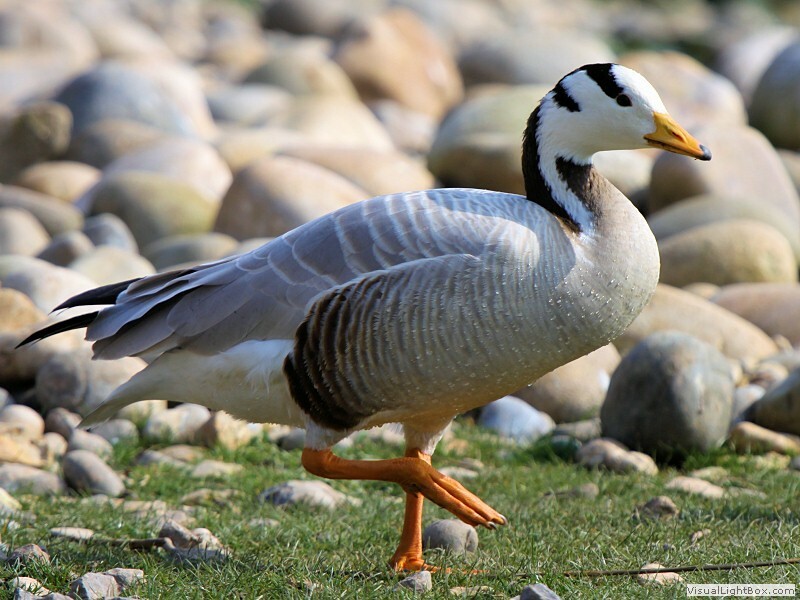 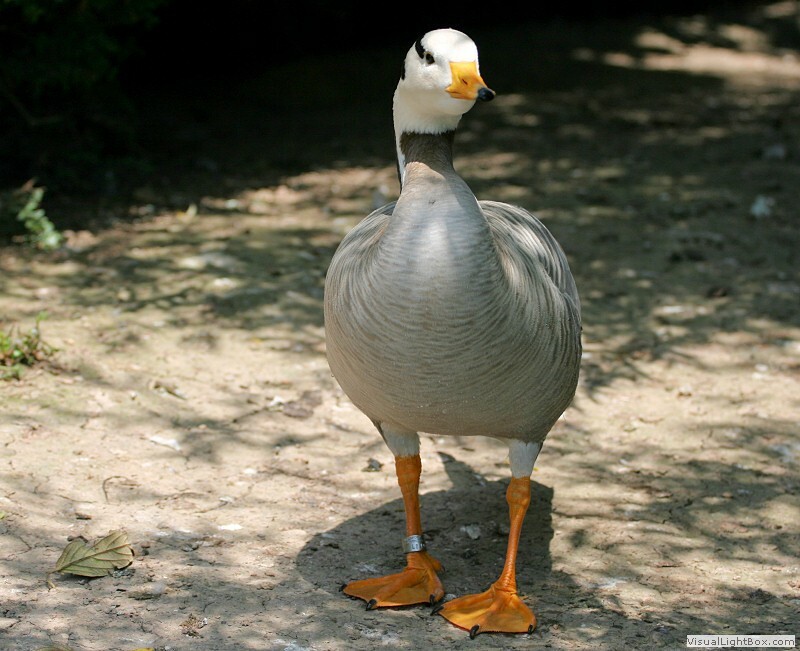 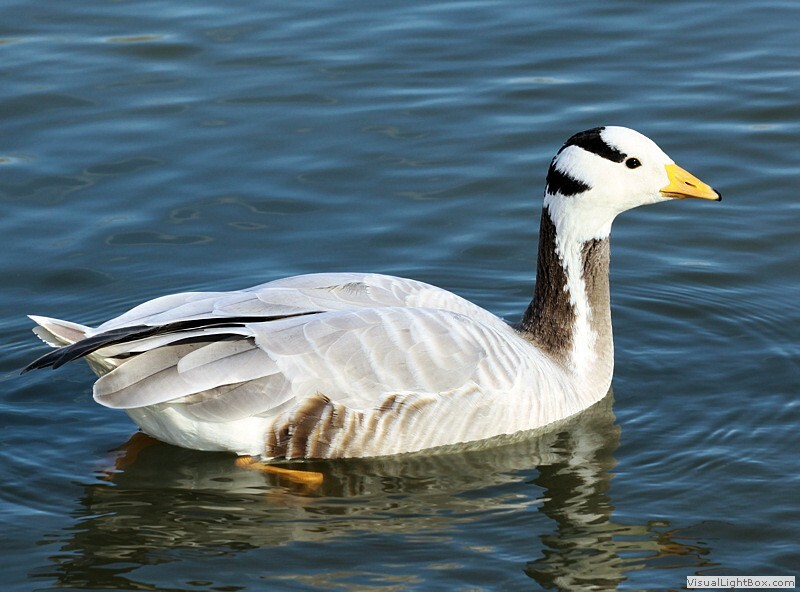 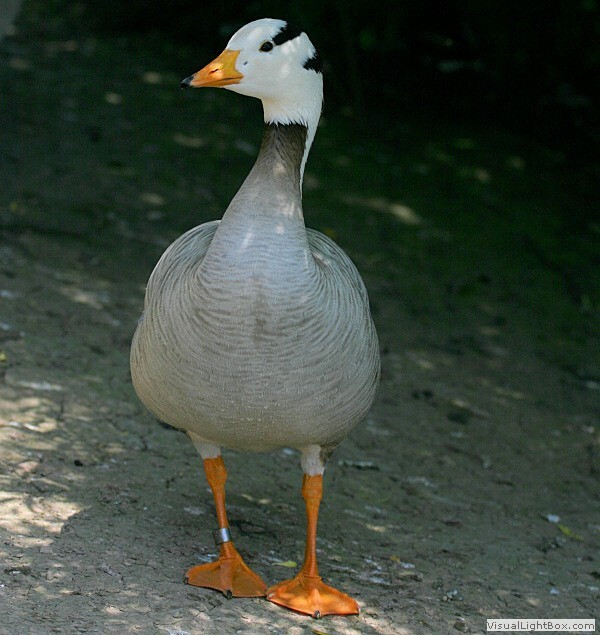 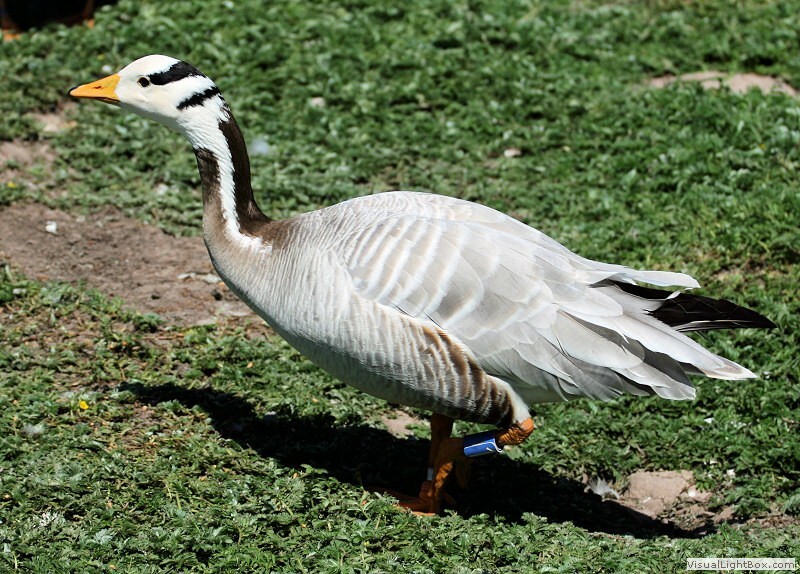 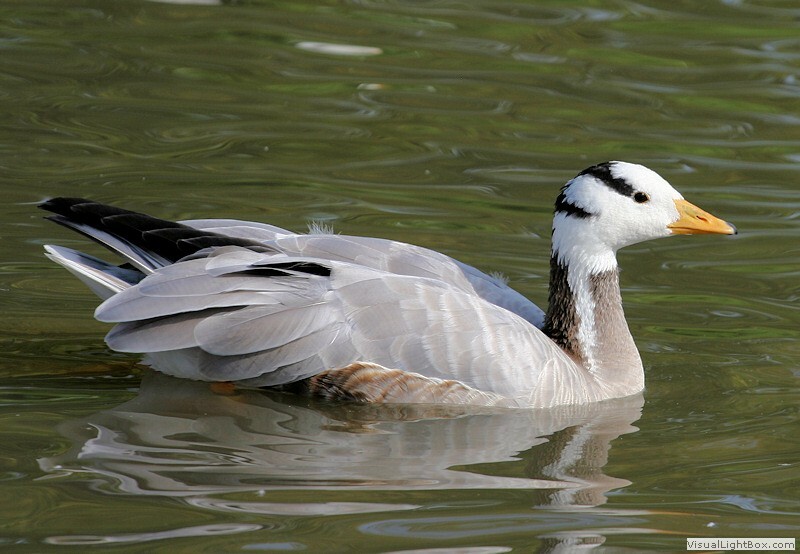 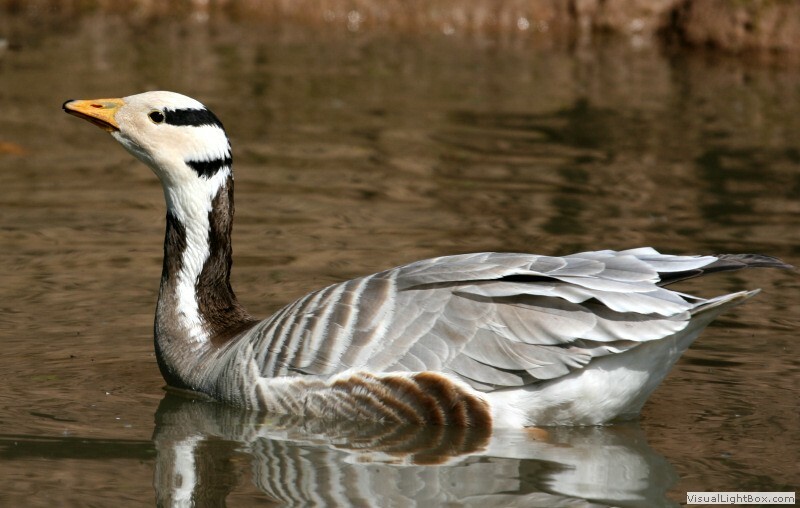 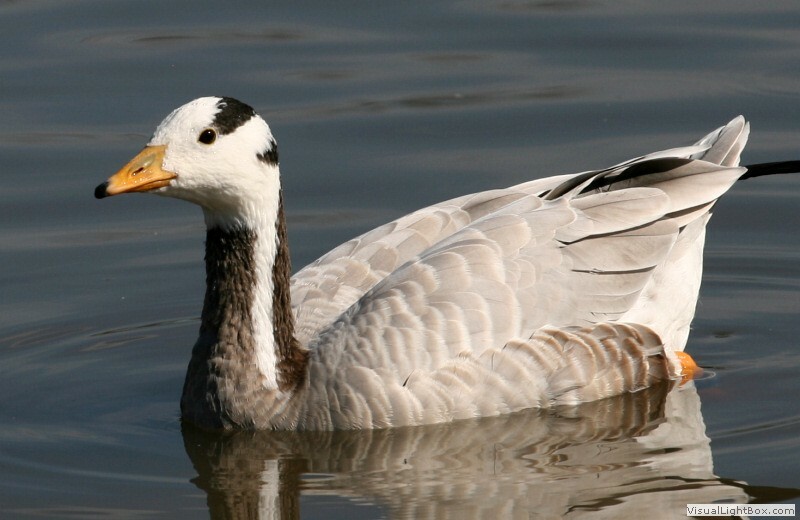 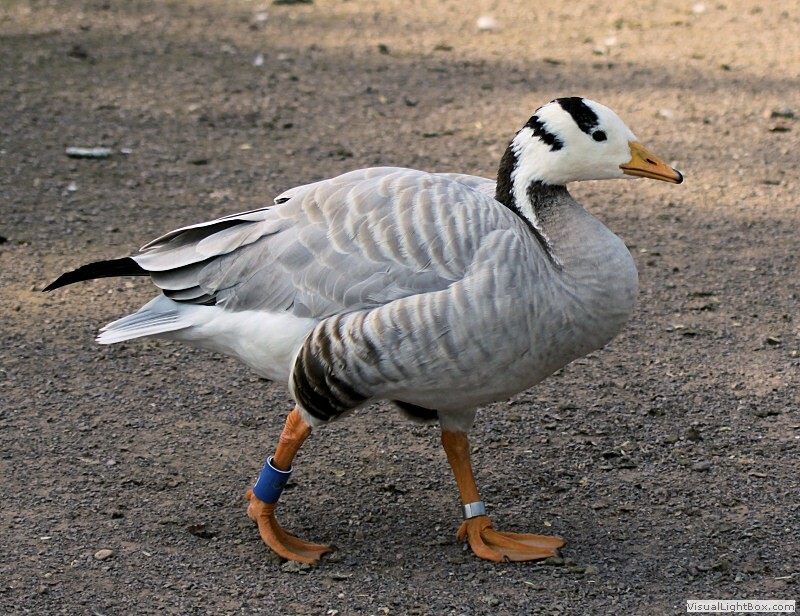 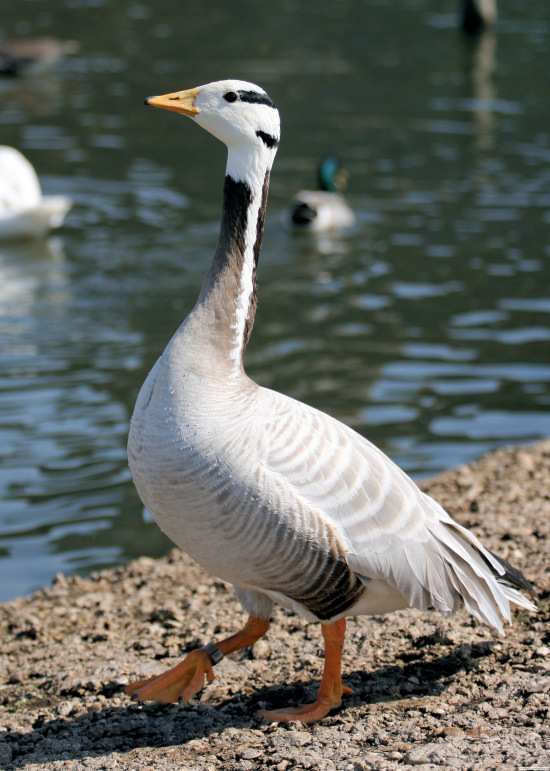 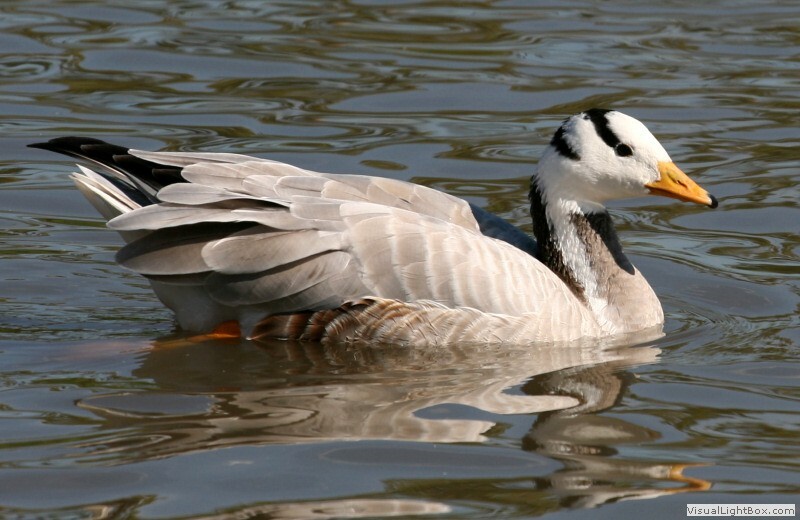 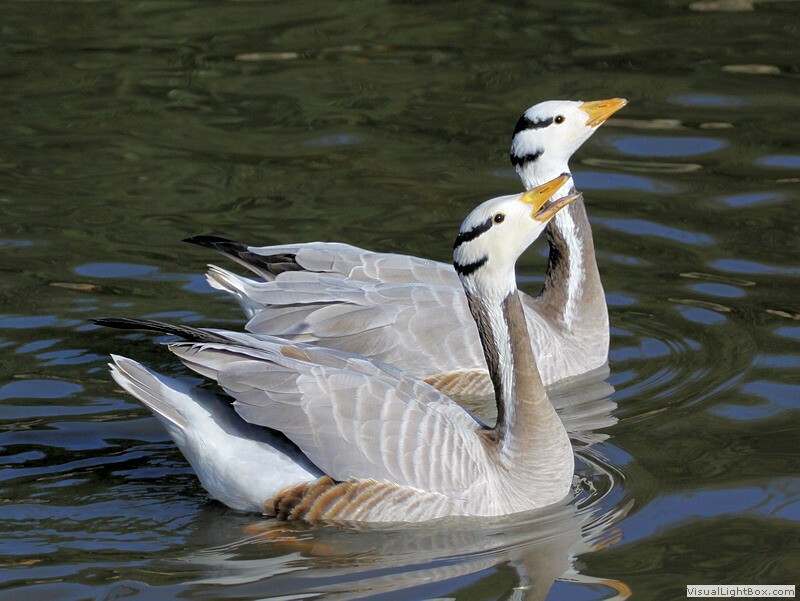 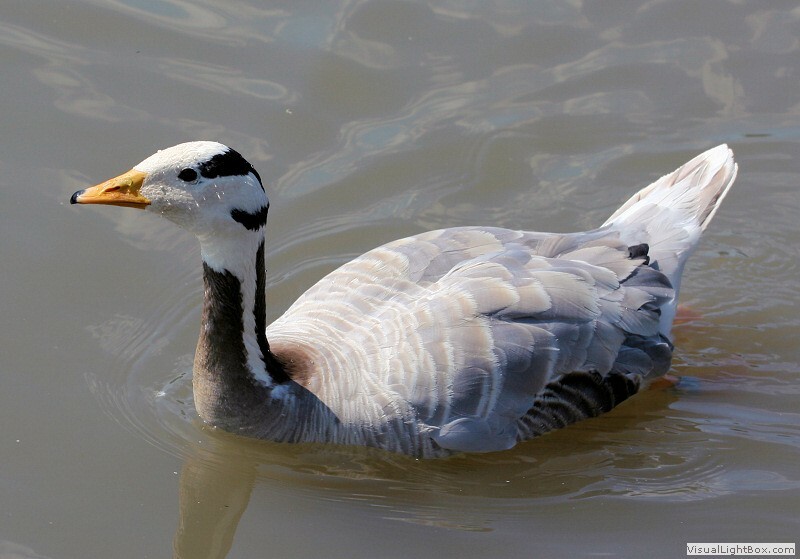 Appearance: - The Bar-headed Goose has a white head with distinctive black bars or stripes on its head, black extending down the front and back of the neck, leaving a white stripe down the sides of the neck, the upperparts and breast are medium grey, flanks are grey turning brown on rear flanks, vent and tail border are white, beak is yellow-orange with black tip, and legs and feet are yellow-orange. 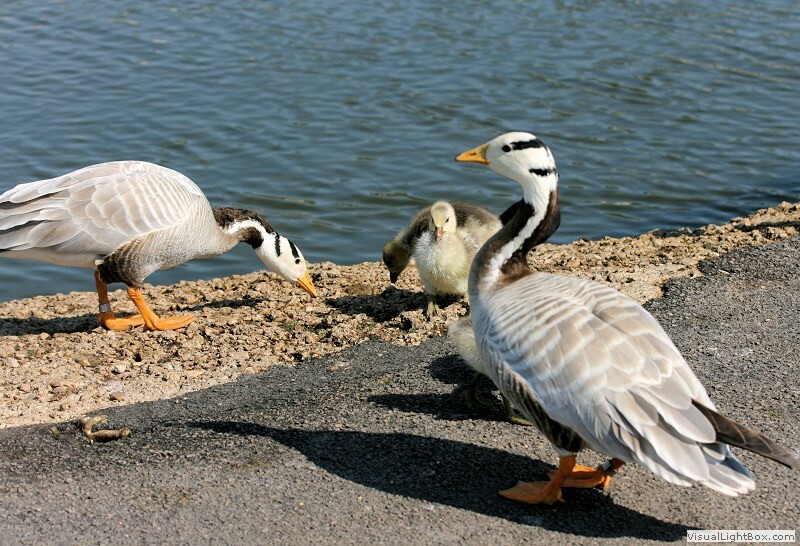 Both sexes are alike. 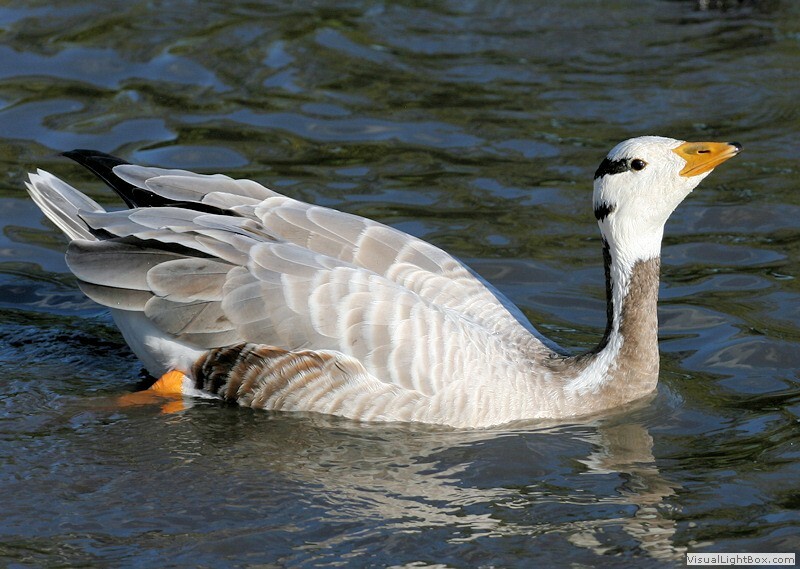 Size: - Typical Adult is 71-76cm (28-30in). 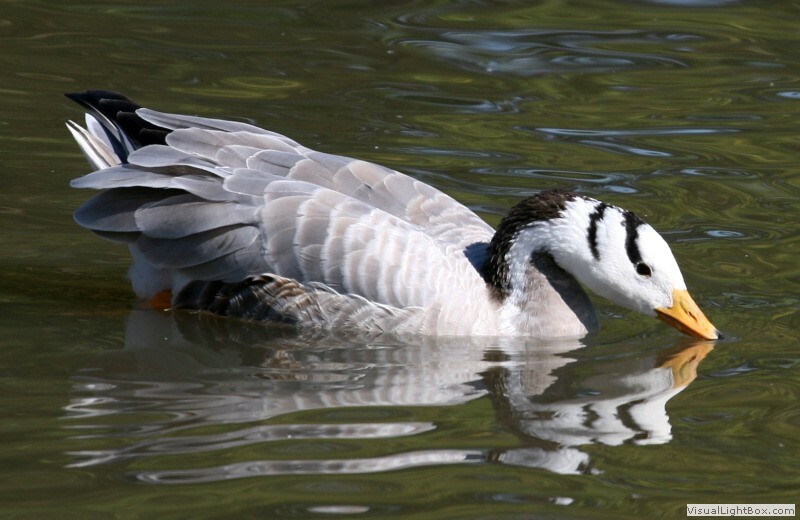 Food: - Aquatic plants, and grazes on grasses, wheat, barley, and rice. 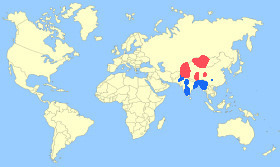 Habitat/Range: - Wetlands, high-altitude lakes, and cultivated fields in central Asia, and Tibet. 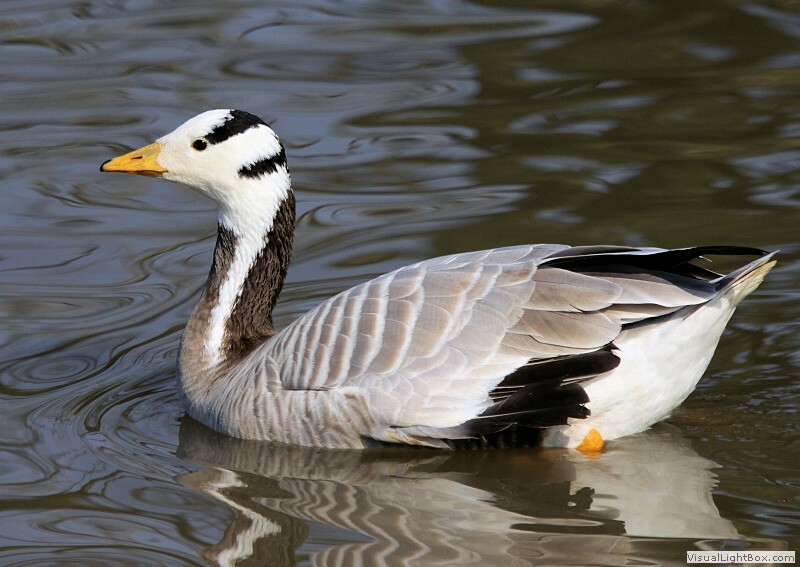 They winter further south in India, Pakistan, and Bangladesh which means they have to fly over the Himalayas. 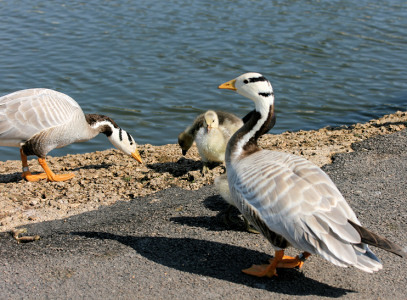 Breeding Season: - From late May to June. 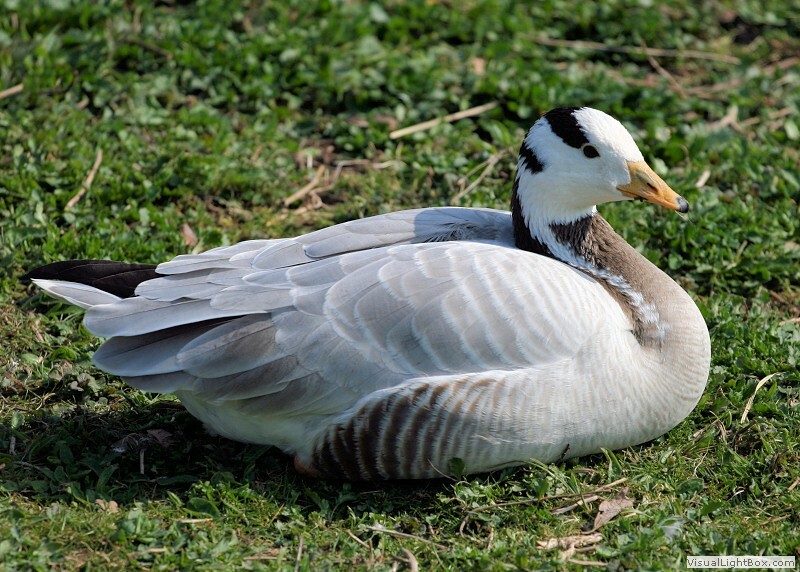 Eggs: - 3 to 6 (ivory-white colour). 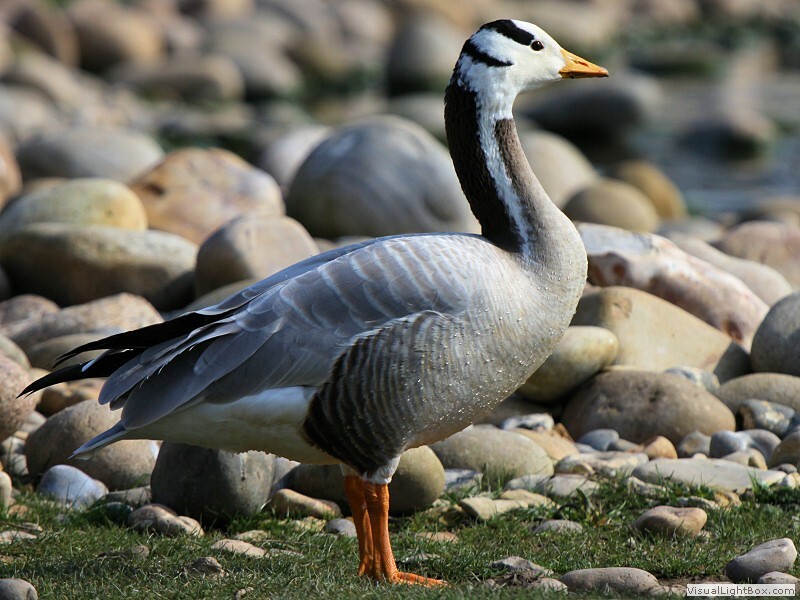 Notes: - The Bar-headed Goose belongs to the Anser genus (Grey Geese) and is one of the world's highest flying birds as it migrates over the Himalayan mountains. 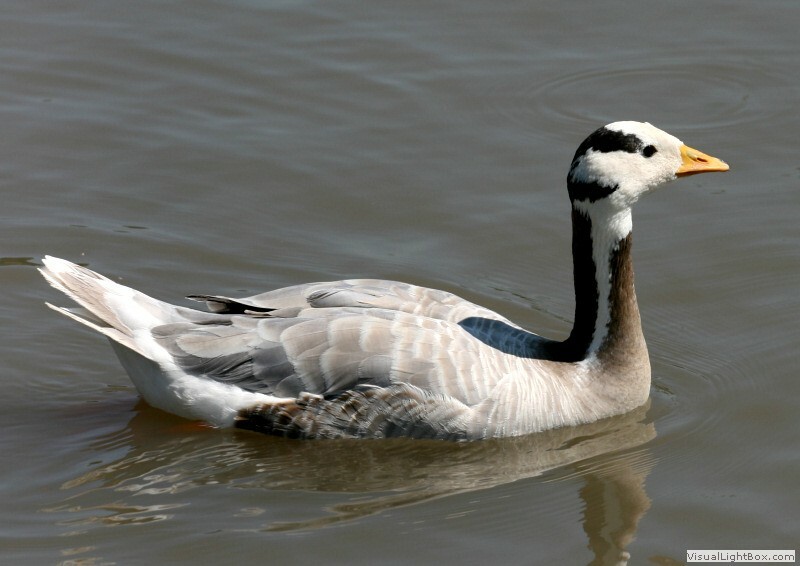 Compare Grey Geese (Anser) species.